Cheryl S. and Annette A. Come learn step by step how to incorporate distance into your agility game. We will guide you in the “how to” of distance as well as the “why” and “when” to make distance a valuable tool in your agility bag of tricks. Whether you want to do better in FAST or Gamblers or you are having some mobility issues we can help make distance manageable for you and your dog. 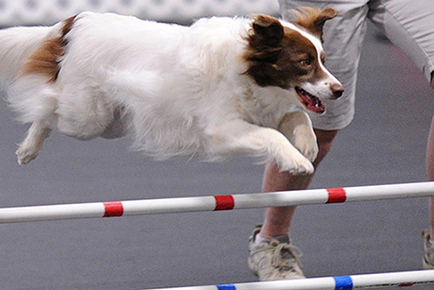 Open to all dogs that are competing in agility that can work off-lead with other dogs and stay focused on the owner, have no aggression issues, and owners who are willing to do the homework to make distance a success.